Most vehicle rental agreements require the customer to assume liability for third-party claims against the rental agency that result from the customer's use of the vehicle during the rental period. Fortunately, this assumption of liability is covered under the standard commercial auto policy. Under a federal law passed in 2005, vehicle rental companies are not vicariously liable to third parties for injuries or damage sustained in accidents resulting from the negligence of rental customers. That is, a rental firm can't be held liable for an accident simply because it owns the vehicle driven by an at-fault customer. A rental firm can be held responsible for an accident that results from the rental firm's negligence or criminal wrongdoing. Here is an example of the type of claim that might be filed against a rental agency. Regina Rogers owns Rogers Risk Analysis. She is on her way to meet with a client, and is driving a car she rented from Reliable Rentals. Regina is in a hurry. She is speeding around a curve about a mile from her client's office when the traffic suddenly stops ahead of her. Regina slams on her brakes but can't stop in time to avoid hitting the vehicle in front of her. Both her rental car and the vehicle she has rear-ended are badly damaged. Beth Baker, the driver of the other car, sustains a broken leg and a skull fracture. Two months later, Beth sues both Regina and Reliable Rentals for bodily injury and property damage. Beth's suit alleges that the accident resulted from two causes: Regina's negligent driving, and the car rental agency's failure to properly maintain the vehicle. Beth contends that the rental car's brakes were worn. While Regina was speeding prior to the accident, she might have been able to stop sooner had Reliable Rentals serviced the brakes adequately. Regina soon receives a letter from the rental agency. Reliable Rentals demands that she (or her insurer) indemnify the agency for all costs it incurs (including defense costs and damages) as a result of Beth's lawsuit. Reliable cites an indemnity agreement in the contract Regina signed when she rented the car. Regina sends both the letter and Beth's lawsuit to her commercial auto insurer. Because her commercial auto policy includes coverage for hired autos, Regina is confident it will protect her against Beth's lawsuit. However, she doesn't know whether it will cover Reliable Rental's demand for indemnification. Virtually all commercial auto policies include contractual liability coverage. This coverage is provided via an exception to a contractual liability exclusion that appears under auto liability coverage. The policy covers liability you assume under an insured contract, as that term is defined in the policy. This term covers several types of contracts. One type of contract that qualifies as an insured contract under a commercial auto policy is a car rental agreement. The policy covers any assumption of liability that you (or one of your employees) enter into when renting or leasing an auto for business purposes. The car rental contract Regina signed contained an indemnity agreement. The agreement required Regina to reimburse Reliable Rentals for the cost of any damages, injuries to others, or damage to other people's property that resulted from an accident that occurred while Regina was using the vehicle. Regina rented the car for business purposes. 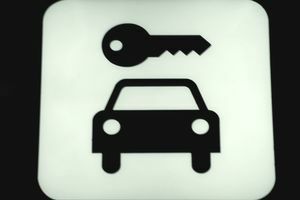 A vehicle rental agreement qualifies as insured contract under a commercial auto policy. Thus, Regina's auto insurer should cover the rental company's demand for indemnification. Most rental car agreements impose liability on the rental customer for physical damage to the rental car. If the customer damages the vehicle as a result of an accident, he or she must reimburse the rental company for the cost to repair the vehicle. These costs are not covered by contractual liability. The definition of insured contract specifically excludes that part of any rental contract that obligates you (or your employee) to pay for property damage to the rental vehicle. You can insure rental vehicles for physical damage by purchasing hired auto physical damage coverage. Alternatively, you can purchase a loss damage waiver (sometimes called a collision damage waiver) from the rental agency. The definition of insured contract also excludes any contract under which you or an employee of yours rents an auto with a driver. That is, if you assume liability on behalf of a rental company in a contract that involves the rental of a vehicle with a driver, your assumption of liability will not be covered.